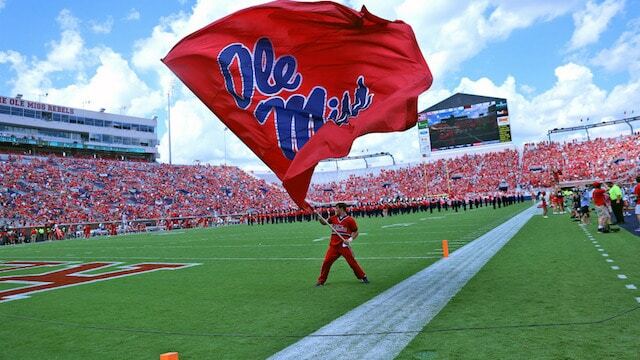 As the calendar turns to August, we’l soon see the rollout of legal Mississippi sports betting at several of the dozen-plus properties that have applied for a license. 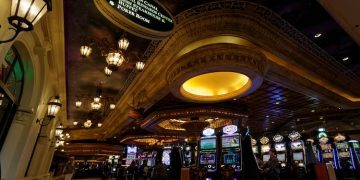 MGM’s Beau Rivage in Biloxi and the Gold Strike in Tunica will go first, following the company’s announcement on Monday of a August 1 launch (Wednesday). 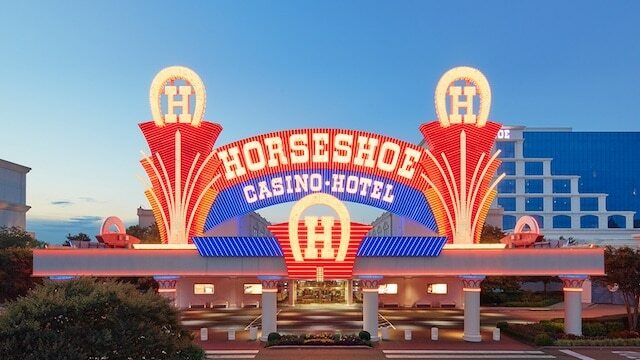 In mid-August, Gold Strike’s next door neighbor, The Horseshoe Tunica Hotel & Casino (a Caesars Entertainment property), will be off and running. The Horseshoe’s Race & Sportsbook manager Chris McConnell has spent the last 20 years working in sports betting and racing operations or organizations. 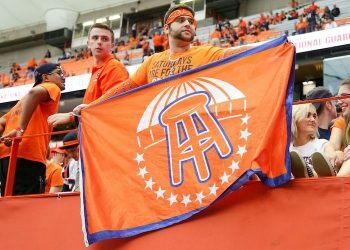 Sports Handle caught up with McConnell recently for a glimpse into preparations and some words about the wagering menu, the physical property, and an approximate opening. 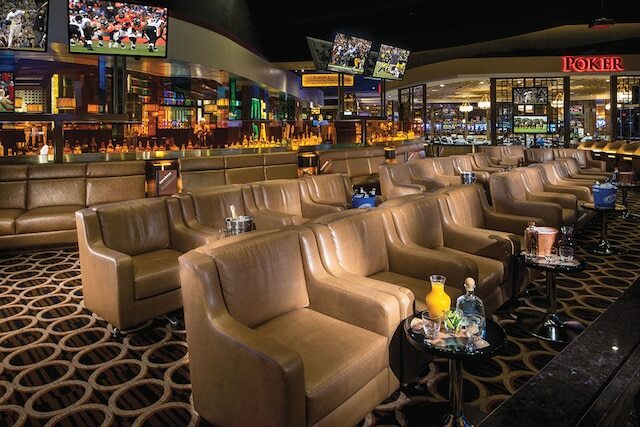 Sports Handle (SH): Can you tell us what patrons can expect of physical sportsbook space? CM: First of all, it’s temporary space a right now, and we’re calling it ‘The Book.’ It’s constructed adjacent to our World Series of Poker Bar and our poker room. It’s going have 12 large screen TVs, sized from about 65 to to 75 inches. And we’ll also have three large screen TVs for updated odds on sporting events. Basically our data wall. And one of them, one of the things that we are going to be doing that’s a little bit different, because we are in SEC country, we’re probably going to do some regional proposition wagers, just for our property here. Within The Book, there’s going to be five [betting] windows presently. One of them is an ADA window. SH: On or about what date do you expect The Book will open? CM: We don’t have a hard date on that. I would say somewhere around mid-August. And I suspect when we go to do a launch, we’ll try to do it, a super soft launch like on a Monday. We’re not gonna open up on a weekend. We’re trying to do it the right way for the customers, but also make sure people are properly trained. 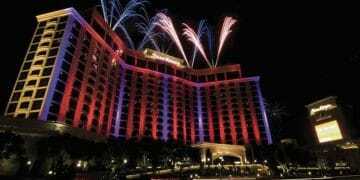 What Caesars did here was seek people internally that had some background in that to alleviate downtime and to increase the training right off the bat. Anything they have in Vegas, we’re working on bringing it into The Book. SH: What can patrons expect of betting menu and odds? CM: The Book and Caesars sportsbooks will coordinate across the country, so we’re going to be integrated. From a waginerg standpoint, we can take larger wagers if we want to based upon pooling and everything. We’re going to emphasize regional sports and wagering. We understand that it’s a new experience for a lot of people and we have a lot of tips and handicapping things and a lot more information to hand out for people that don’t know what the lines mean and how to wager. We cater to everyone. Newbies, we have it set up that we’ll have training to assist new people as well as the experienced better. SH: Any sense of how much appetite there is now for sports betting in Mississippi based on people coming by and asking or calling in? CM: Well, let me tell you, as soon as we actually put up a few signs right around it, coming soon, you know, Horseshoe Tunica ‘The Book’ … we are literally quite adjacent to the World Series of Poker Room. Tons of people have been asking the poker supervisors and the staff over there. When is it coming? I met with Lisa, who’s the GM over at the poker room and she goes, ‘We must get 20, 30 when is it gonna open?’ questions a day. It’s not so much what’s the offering — they know what it is, but when’s it coming. SH: Will you guys be offering at some point on-premises mobile wagering, which is allowed under the existing regulations as you know? CM: Yes, but we want to get the live retail stuff going first and then do that. It comes geo-fencing with the property. Well, does that mean like in our property including The Roadhouse? So, define property. Is it the physical location of The Horseshoe? Or does it include our property which is basically next door? SH: What about the possibility in the future of mobile betting opening up outside the property, which is big in Nevada and for offshores? CM: We have a long history of working closely with Mississippi Gaming Commission and regulators to bring the latest technology and innovation that is beneficial to our customers and the Mississippi gaming industry to our operations. We will continue to work closely with regulators to improve our operations and customer experience. SH: To what extent are you guys working with a Nevada-based team to assist in preparations? CM: The Nevada team will be doing all of our odds. So, that helps us here. Like with MGM, you set your own lines and stuff like that. We don’t have to worry about that. Our thing is customer care — taking care of the customer. Our lines are coming from a team of experts that have been doing it in Las Vegas for years. So, it works very well for the customers. They’re getting the best lines, but the people out here don’t have to worry about moving lines back and forth. SH: Can you give example of the kind of regional prop you expect to offer? CM: You could do two Mississippi teams and we could say something like which team will score the most offensive points this week? Like a head-to-head matchup. We can also do same thing with individual quarterbacks or something like that or running backs. So we can do team props, player props, points or scoring. Which team will score the most points in the first half. Not only for, pro football, we can also do it for college football and things like that. We can keep the regional nature of it if we want to or if people have an appetite for those type of wagers, we can do that also. So, we can have a little bit different wagers than what is being offered in Las Vegas, even that. It won’t be a whole wall of it. I’ll be three to five easy each weekend type of stuff or each, you know, maybe a Saturday, Sunday, it might be different. SH: What are you most excited about as you prepare to roll this out? CM: I think it’s good for the overall industry. I’m in the industry, so I think it’s a good thing in whatever state. I hope more states do adopt it and do it. Will it impact Las Vegas? Las Vegas is so big, people that went to Vegas to bet sports, they go up for a week or else they move there. We’ve added more people here. We’ve hired more people. We’ve talked about doing it that way. It’s like if they want music or a band or something, well they want sports betting. Once they said we were going to get it, everyone was excited. And once we start putting up those curtains, man, the temperature shot up a thousand degrees because now it’s the reality of it. So, it’s a good thing that it’s happening in the industry. It’s good for our property and it’s good for the people here. We’re so close to Memphis, we appreciate the people taking the ride down. It’s a little bit different dynamic than say Vegas. These people choose to come here to have fun, to wager responsibly. And so the thing for me, from managing the racing and sports, I want to give them the best that I can. You know, they made the effort, we gotta make the effort times ten back to them.